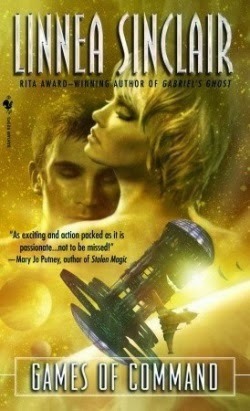 From what I've seen (emphasis on my personal experience), that's a measure of success few sci-fi romance books have reached. 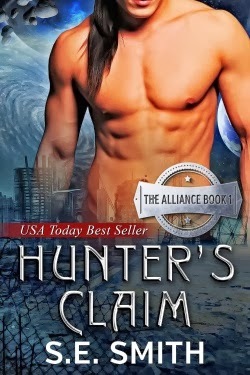 Compare the Amazon review number of HUNTER'S CLAIM with that of Linnea Sinclair's GAMES OF COMMAND (2007), a book often touted--in part because of its craft--as one of the premier science fiction romances: 41 at the time of this post. Granted, the SFR label doesn't automatically mean both books will share the same readers. And perhaps the ones who read HUNTER'S CLAIM happened to be those with more motivation to leave reviews. But the difference in reviews between these two books seems significant to me and in light of Donna's post makes me wonder how much authors can rely on craft as a predictor of success (in this case, ranking and number of reviews) and appeal vs. a story's ability to deliver certain kinds of fantasies. Not necessarily sexual fantasies (although I suspect they play a significant role for many readers), but rather a particular romance dynamic and/or characters. Craft is important, of course, because at the very least a story has to be coherent! Do we really want a market of lemons? Some authors of sci-fi romance could very well be losing readers--and sales--by downplaying the benefits of craft. Why not take advantage of a strategy that could increase readership? I haven't seen any sci-fi romance reviews gushing about how misspelled words, misuse of words, grammatical/punctuation errors, info dumps, etc. contributed to a reviewer's satisfaction with a book. Craft and the fantasy aspects of a story aren't mutually exclusive. Beyond coherency, though, to what extent will a meticulously or even moderately crafted story translate to satisfied readers and higher visibility for sci-fi romance as defined by numerous sales, high rankings, bestseller status, and reviews? Craft or no craft, might there be other factors at play? Some readers (and writers!) will argue that some of these things don’t matter, that it’s the story that counts. I would counter that all of these things combine to make the story. Without character, POV, pace, proper use of backstory and good use of language, there is no story, there is only an idea. Lots of us have ideas—wonderful, creative ideas. Very few of us are writers. Readers can recognize the difference. I agree that there are readers who can often recognize the difference, but that won't necessarily stop all of them from reading. When might craft not matter (or matter as much) to readers? Here's one monkey wrench answer: Sometimes readers are willing to overlook craft issues if a story is of the type they're hungering for combined with a relatively low number of similar books. When we hear "it's the story that counts," it may be a reader saying that certain story elements are so important to her that she's willing to forgive a book's craft flaws (assuming she has identified factors that, to her, are flaws). Maybe a certain type of story doesn't exist in large numbers, so a reader becomes less selective. Heck, I've watched countless low-budget films of questionable production value simply because they include elements I enjoy (I'm less particular about films than books, though). Case in point: I watched EXILE, an indie science fiction film, in the hopes that it would turn out to be a science fiction romance. It has a romance subplot, but doesn't meet the romance genre convention of an HEA. The production values were so substandard at times that watching EXILE became an excruciating experience. I came close to not finishing it and I *love* android romances! Still, I was willing to give it a try despite the flaws (EXILE sure delivered in that respect: one scene was so under lit the main actor's face disappeared into shadow!). Many times, IMHO, a film can't overcome it's budgetary limitations and/or turns out to have a problematic storyline. Other times I discover a true gem, or can at least come to the conclusion that a film rises above its craft flaws. I've had similar experiences with SFR books. That said, I'm all for optimizing every chance possible for the success of science fiction romance books, and that includes craft. Mechanical flaws like illogical sentences or vague plot points aren't amusing, especially considering that I never read sci-fi romance for a "so bad it's good" experience.